The UAE’s latest cultural landmark, Dubai Frame is an iconic structure that ‘frames’ impressive views of Old and New Dubai, while serving as a metaphorical bridge connecting the emirate’s rich past with its magnificent present. 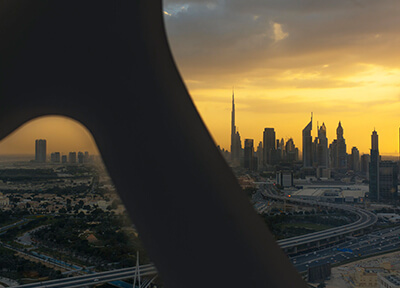 Offering spectacular panoramic views across the city, Dubai Frame celebrates the story of Dubai from its early establishment to its ambitious plans for future development. Take a look at Dubai's latest attraction. Plan your trip, get tickets and explore The Right Frame Of Mind. 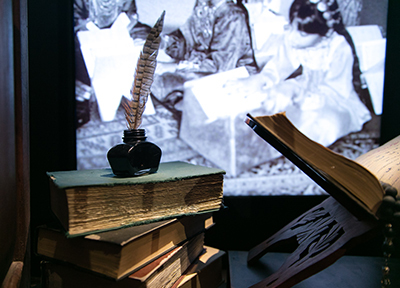 Starting from the mezzanine, the visitors enter to a multimedia exhibition charting the city’s rapid transformation from a fishing village to a thriving modern metropolis, with fascinating insights on Emirati heritage. Visitors are directed to the second experience on the Sky deck level representing the Present Dubai. They experience uninterrupted views of Dubai from all sides, “Old Dubai” to the north, and “New Dubai” to the south. 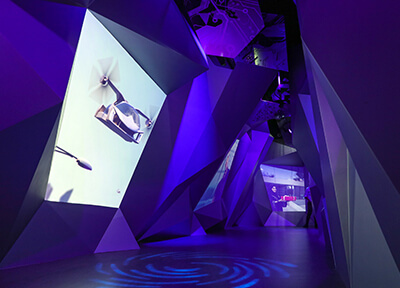 The visitors exit the elevator onto the mezzanine floor and pass through a swirl tunnel with special audio and visual effects.